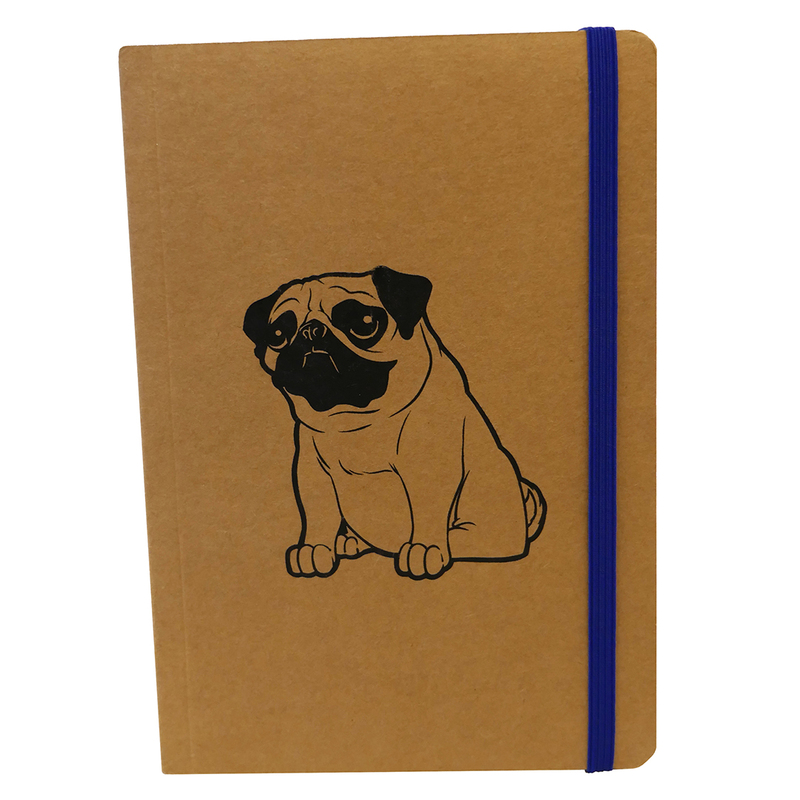 You'll be writing in style with this custom silk screen printed 5" x 7" pug notebook! It comes with a blue ribbon page marker and a matching blue elastic closing strap. 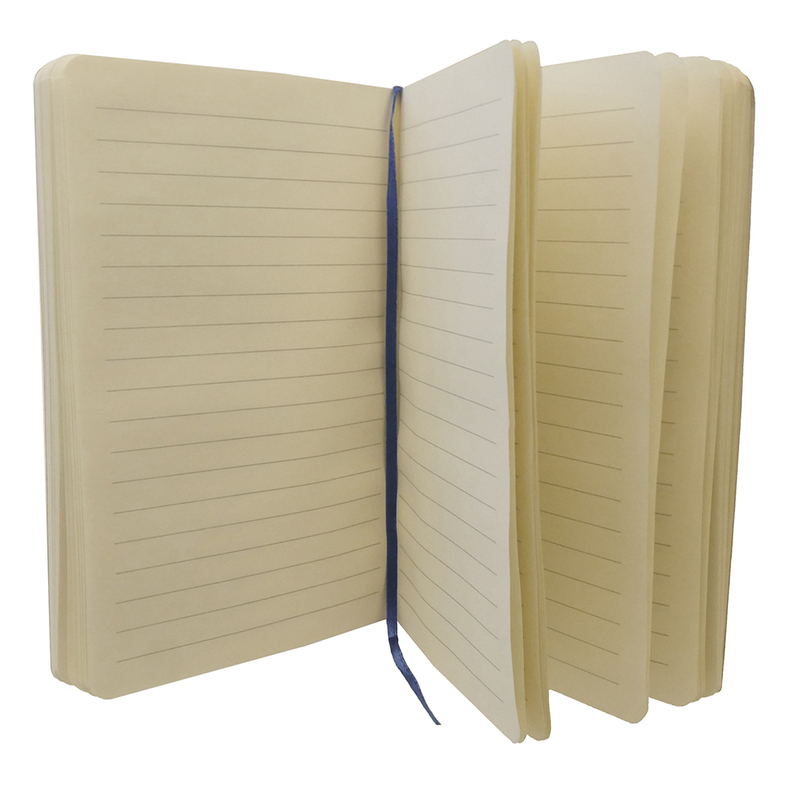 The notebook contains 80 lined pages that you can fill with pug stories, shopping lists, notes, and more!